This item includes LCD screen, digitizer touch screen already attached. 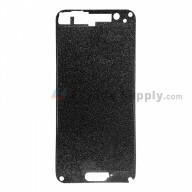 This HTC Desire 728 LCD Screen Assembly is a brand new original replacement. The HTC Desire 728 LCD Screen and Digitizer Assembly flex cable is very fragile and easily damaged.Handle carefully! Pleasure to make deal with ETS.